Young Zaar Achievers is a platform earmarked to celebrate Young Zaarites from across the globe who are excelling in their various field of endeavors. 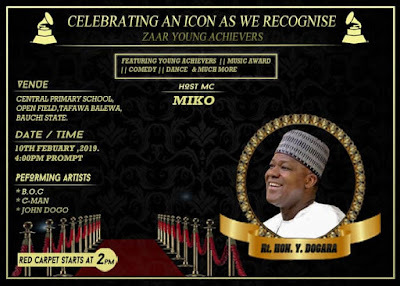 HomeSai DogaraYoung Zaar Achievers is a platform earmarked to celebrate Young Zaarites from across the globe who are excelling in their various field of endeavors. 4. Sai Dogara challenge winners Will be announced and Awards will be presented to the winners & certificate of participation Will be issued out to all participants of the challenge, to encourage all participants .